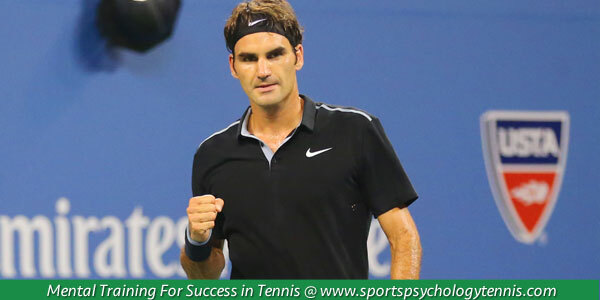 Are you “mentally strong” during tough tennis matches? How much more could you achieve in tennis if you developed a stronger mental game? Think of a match where some mental factor negatively affected your game… maybe a bad line call caused you to become angry… or you couldn’t stop thinking about some unforced errors. Maybe you get too nervous for matches… or you can’t find the motivation in practice to push yourself. There are many mental factors that affect your performance on the court. Most tennis players speak of the benefits of mental game coaching such as increased confidence, playing with poise, better concentration, increased motivation, more effective practice sessions, dealing with off-court distractions, etc. Though most tennis players believe mental skills to be highly important, mental skills are usually the most neglected aspect of a tennis player’s training. Tennis players have a lot of excuses for why they don’t engage in mental skills training, such as not enough time, belief that mental skills are inborn, erroneous assumption that mental skills training is for head cases, don’t know where to turn for mental skills training, etc. Petra Kvitova, currently ranked No. 2 in the world, realized she needed to find a mental edge over her competitors. In 2010, Kvitova was awarded the WTA Newcomer of the Year. In 2011, Kvitova had a breakthrough year and won Wimbledon, her first career Grand Slam title. Kvitova won several awards 2011 WTA Improved Player and 2011 WTA Player of the Year for her performance on the tennis court. Kvitova had consistency issues over the past couple of seasons and it wasn’t until winning 2014 Wimbledon that she added a second Grand Slam title. What does Kvitova attribute to her newest Grand Slam success? Kvitova enlisted the assistance of a sports psychologist to help her mental game and take her game to the next level. Identify 1-2 mental aspects that could strongly impact your game such as confidence and focus. You should create an action plan to improve these mental skills in practice. Can you identify the signs when you have doubt or are distracted? What will you do to overcome the doubt and distractions? You may want enlist the help of a coach or mental game coach who can help you develop a mental game plan and improve your performance on the court.